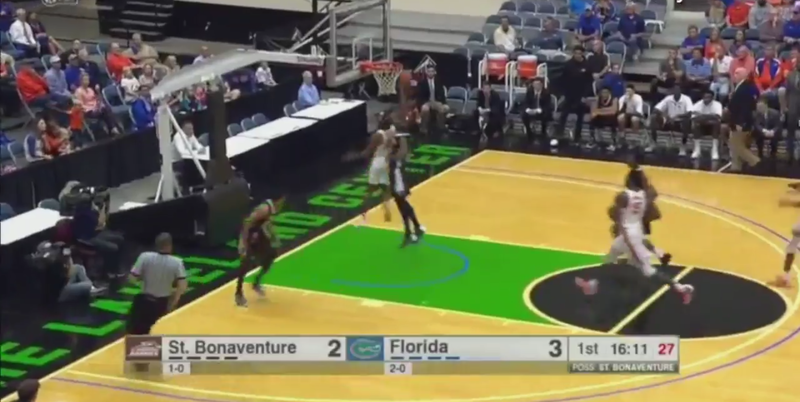 LAKELAND, FL- The Florida Gators men’s basketball team continued it’s barnstorming of the state of Florida on Thursday with a victory against the St. Bonaventure Bonnies at the Lakeland Center. Senior (transfer) Canyon Barry led the Gators with 16 points, and hit a trio of three pointers to give Florida a 15 point advantage with 11 minutes remaining in regulation. Turnovers and poor play allowed the Bonnies to make the comeback bid. Sophomore KeVaughn Allen also contributed 16 points while junior Devin Robinson added 14 points (on 6-6 shoting) and 7 rebounds.